Norwegian subsea engineering firm, Subsea 7, has announced surprisingly strong results for the first quarter of 2015, which ended on 31 March, despite challenging market conditions. Although energy firms are continuing to delay projects following a dip in oil prices, the firm increased its earnings and margins as a result of stringent cost controls which they say have been progressing well. Additional cost cutting measures will be implemented this year. Subsea 7’s operating profit rose to $176 million from $160 million a year earlier, above the average forecast of $122 million in a Reuters poll of analysts. Additionally, its order intake of $1 billion was almost double what the market had predicted. 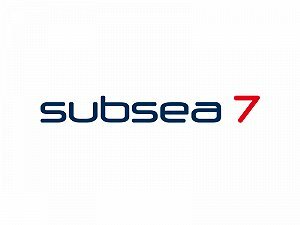 Jean Cahuzac, Subsea 7’s Chief Executive Officer, said: “Subsea 7 has started the year well compared with the prior year quarter, with an increase in adjusted EBITDA in the first quarter of 2015 despite the difficult market environment and a decline in revenue. The company’s shares are up by 7.4 per cent in early trade and were up 4.4 per cent at 0800 GMT, despite warnings from the company that its outlook was muted. Shares have fallen by 25 per cent in the last twelve months. Subsea 7 said: “Contract awards to the market continue to be delayed, reflecting the low oil price environment and resultant capital expenditure reductions by oil companies. Subsea 7 is positioned competitively for the projects that are still expected to be awarded to the market in 2015. However, visibility on the timing of SURF awards remains low.